Featured amenities include complimentary wired Internet access, a business center, and complimentary newspapers in the lobby. A train station pick-up service is available for a surcharge. Make yourself at home in one of the 35 air-conditioned rooms featuring refrigerators and LED televisions. Complimentary wired and wireless Internet access keeps you connected, and cable programming provides entertainment. Bathrooms have complimentary toiletries and hair dryers. Conveniences include desks, and housekeeping is provided daily. Make yourself at home in one of the 77 guestrooms. Bathrooms with showers are provided. With a stay at Wei-Yat Grand Hotel in Tainan (Anping), you'll be within a 10-minute drive of Anping Old Fort and Shennong Street. 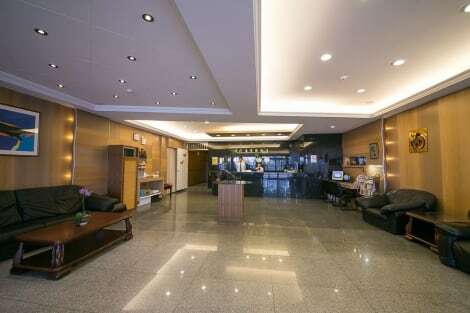 This hotel is 2.3 mi (3.7 km) from Chihkan Tower and 2.4 mi (3.9 km) from Tainan Flower Night Market. Located in the lovely area of Tainan City,enjoys a commanding position in the sightseeing,culture,restaurants hub of Tainan. The city center is merely 0.5KM away and the airport can be reached within 30 minutes.With its convenient location,the hotel offers easy access to the city's must-see destinations.Offering hotel guests superior services and a broad range of amenities, Hotel is committed to ensuring that your stay is as comfortable as possible.Guests of the hotel can enjoy on-site features like free Wi-Fi in all rooms,daily housekeeping,grocery deliveries,postal service,taxi service. Enjoy international cuisine at Jade Room, one of the hotel's 2 restaurants, or stay in and take advantage of the room service (during limited hours). Snacks are also available at the coffee shop/café. Buffet breakfasts are available daily from 6:30 AM to 10 AM for a fee. No.336, Chenggong Rd., North Dist. At Fushin Hotel Tainan, enjoy a satisfying meal at the restaurant. Buffet breakfasts are available daily from 6:30 AM to 10 AM for a fee. Grab a bite to eat at one of the hotel's 4 restaurants, or stay in and take advantage of the room service (during limited hours). Snacks are also available at the coffee shop/café. Quench your thirst with your favorite drink at the bar/lounge. Buffet breakfasts are available daily from 6:30 AM to 10 AM for a fee. No.658-2, Sec. 1, Ximen Rd. 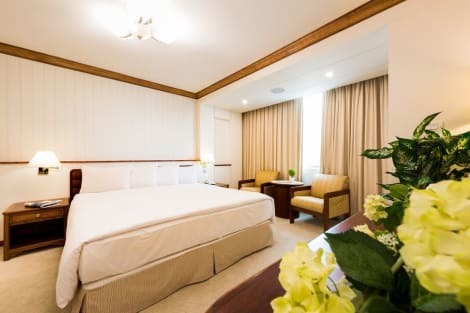 Make yourself at home in one of the 220 air-conditioned rooms featuring refrigerators and Smart televisions. Complimentary wired and wireless Internet access keeps you connected, and cable programming provides entertainment. Private bathrooms with separate bathtubs and showers feature deep soaking bathtubs and complimentary toiletries. Conveniences include phones, as well as laptop-compatible safes and desks. 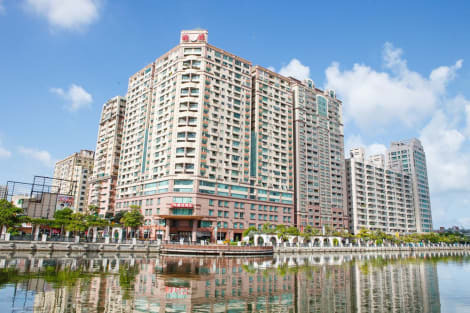 lastminute.com has a fantastic range of hotels in Tainan, with everything from cheap hotels to luxurious five star accommodation available. We like to live up to our last minute name so remember you can book any one of our excellent Tainan hotels up until midnight and stay the same night.